I’ve been wanting to do a little research in order to post another article regarding how light affects us ever since I posted the article about how light affects the retina in the eyes. And, sorry, that was a long time ago. If you are interested in a blast from the past, you can revisit The Art of Seeing – can you see auras? Posted back in July of 2010. Back then, I brought up how the retina I the eye changed when a photon of light struck the molecule. The energy gave it a charge and that charge caused the shape of the molecule to twist ever so slightly. Yet, the twist is just enough that we humans can sense the change as color. Light is a type of electromagnetic radiation, a source of energy. The Grotthuss–Draper law (for chemists Theodor Grotthuss and John W. Draper) states that light must be absorbed by a chemical substance in order for a photochemical reaction to take place. For each photon of light absorbed by a chemical system, no more than one molecule is activated for a photochemical reaction, as defined by the quantum yield. The absorption of a photon of light by a reactant molecule may also permit a reaction to occur not just by bringing the molecule to the necessary activation energy, but also by changing the symmetry of the molecule’s electronic configuration, enabling an otherwise inaccessible reaction path, as described by the Woodward-Hoffmann selection rules. A 2+2 cycloaddition reaction is one example of a pericyclic reaction that can be analyzed using these rules or by the related frontier molecular orbital theory. Basically, electromagnetic energy can be the catalyst for changing a number of different types of molecules. Yet, the one that’s most interesting to me is the molecule that is created when we step into the sunlight – vitamin D3. Somehow, it gets into the pre Vitamin D3 stage and then, with the help of UV light, it turns into Vitamin D3. 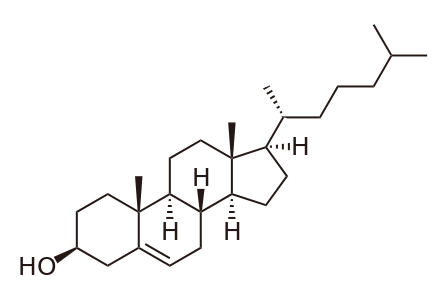 I know Cholesterol looks to be a lot simpler than Pre-vitamin D3, but the point is that light gets absorbed into the molecule and that molecule changes shape. The important part is that once that molecule changes shape, it changes into something that proves to be very helpful for the body. Everyone knows that Vitamin D3 is used to help the body absorb calcium. But what people don’t necessarily recognize is that sunlight provides the charge that changes the molecule within the human body so that it can function in a useful way. What I find most interesting is not so much that this is two clear cases of sunlight having a direct effect on the body, but rather light (electromagnetic energy) gives a charge to a molecule that allows it to function in a useful way within the human body. Now, on the crudest side of things, when the body breaks down sugar in order to release the electromagnetic energy, that energy must be captured by other molecules that get spun up in order to perform some new type of work. And, as we all know, science has broken down sugar so that it’s a measure of calories – a measure of energy. But what about the rest of the body? It would seem that if there are two really simple cases where electromagnetic energy affects molecules within the body, and one of those (retina), directly sends singles into the nervous system, might there be others? To me, this is where ‘having feelings for someone else’ comes into play. Not only do people live on electromagnetic energy, people give off that same energy. If sunlight can have an effect on the body, why can’t the energy given off by someone else? It would also stand to reason that if the energy within our own body spun-up/twisted molecules in useful ways, might being around someone else have a similar, yet slightly less profound effect? I’m willing to bet that as time goes on, we’re going to find lots of examples of how electromagnetic energy affects the body. If you really ponder the thought, you may find that it’s not food that we live on, but rather electromagnetic energy – the way we’ve plugged in has always been via food. What if we discovered a new way to power or bodies that didn’t involved eating? What if we could simply ‘plug in’ to some source that provided a charge that restored all our molecules to their best functioning state? This is where the fun begins. This is why yoga interests me. Why do some people mediate? Why do these people focus their thoughts? Why do they spend time learning how to be calm? If you were to ask me, I would say that it’s because when you remove the gross energies that move the body physically, emotionally and mentally, you remove the energies that drowned out, or overly stimulate, the subtle receptors. These subtle receptors are what allow us to sense the energy that’s around us. These subtle receptors respond to the energy that is outside of our own creation. These subtle receptors allow us to really connect with other people (life forms) in our existence. Everyone (everything) is giving off energy. The fun part is feeling it! Breathe and calm the mind. Together we can experience these subtle energies! What am I doing when I meditate? What am I doing? Practice? Yoga? Wasting time? All of the above? I love coming across videos that are short, impactful and, well, downright worth watching. Turns out, another one came my way just a few minutes ago. It explores the idea of meditation in a practical no-nonsense way AND, I found that, I resonate (no pun intended) with how he, (Kurt Hardesty,) describes his ‘practice’. It’s short, I think you’ll like it. Now, if I can critique this video…. I love the fact that his little, overly dramatic, hand gestures and sounds add filler to the dead space between words to keep the viewer’s mind occupied. It’s as if he resonates to both the non-stop intensity of the always on internet while at the same time maintaining a balance that keeps him centered a focused. The logic is simple and the words flow off his tongue without the essence of being rehearsed. And the intent … It’s very much in line with how I practice. Meditation, to me, it about consciously calming the gross energies that naturally drowned out the subtle energies so that awareness can be brought to the senses that read and generate the subtle energies. Why would someone want to do this? Well, Kurt makes it really clear – it’s so that you can learn what your baselines are. If you experience what energies you use and how you use them, you get a really good understanding of your own baseline. When you do, you build a really good foundation upon which you can interpret the world. When you learn where you ‘stop’, you can start to see where other’s begin. But, because our boundaries around people are really fuzzy, people intersect with (literally) everything, meditation helps us learn how to decipher internal verses external stimulation. Even though this guy mentions electricity a number of times, I believe he’s saying that – not from a literal point of view – but from a point of view where electricity is not just what flows through the wires in your house. But, rather, it is an electromagnetic energy. Or, better yet, pure energy that is everywhere all the time. When he talked about sensing the pulse of energy that flows through the body, he’s implying that it is sensed – just like how your eyes sense visible light (energy). He mentions that it’s at a cellular, molecular type level, which is in line with my understanding. The sensing comes from feeling the flow of energy. It takes a huge amount of energy to move your arm or leg, and when that flow happens, it drowns out the senses by overpowering them. Thus, during meditation, a conscious effort is placed upon calming that physical activity. After that, the activity that is emotional or mental can be wildly active. When you calm that energy down, you realize how physically connected it all is and you find yourself getting ever more relaxed. Tension melts away. To me, it’s just after that point when the sensory input can be felt consciously by the more subtle sensors. That’s when you feel the bird call down the block as if it’s two feet away. That’s when you pick up on other people’s thoughts from miles away. That’s when you can visualize places as if you were there. Most importantly, that’s when you learn how you channel your own energy. That’s when you realize that your own thoughts drive your own emotions that affect your own body. This is where you learn that when you consciously choose the correct thoughts they will generate expected emotions that will have a specific affect on the body. You experience the way it works. You experience how to make balance happen. Ok, I’m thankful to have found these few minutes to type up this post. Tomorrow’s going to be another great day! Hi everyone. It’s actually kind of funny writing ‘Hi Everyone’, but I guess it’s literally true with a post on the web! Today feels like a great day to share. I’m sure that everyone has brief periods of time in their life everything seems to come together – all at the same time – leaving no extra time for the things that you did and loved yesterday. Well, the last five months have been like that for me. My time has been split between working full time, attending Yoga Teacher Training and being a husband, father and grandpa all at the same time. I’ve had both daughters in the house at the same time while also taking in my daughters good high school friend. I’ve had my truck totaled (no one hurt) and purchased a new car. I’ve juggled the holiday season and even managed to find time to gather a Christmas tree this year! It’s been crazy and nonstop. The time that I had to blog, research (search the web) and play – doing yoga – all seemed to get pushed aside and set on hold the day I started Yoga Teacher Training. It was hard adapting to the change. What was hard was losing that extra time that I spent blogging. What I’ve loved doing for so long, I simply didn’t have time for. That independent research and self discovery all got forced aside in order to explore someone else’s program. Even though ideas came to me and I wanted to craft something for the blog, there was always something more pressing that needed my attention. Today, things are changing again. Today, I took my final exam in the Teacher Training program. Today, I completed my last class hours of sequencing. Today, I am revisiting my blog! Yeah! I would like to reflect upon some of my experiences during teacher training. First off, the strongest memory that I have came during my first sequencing class. I’ve been practicing Yoga for years and naturally perform the moves – as a student – but when faced with that first sequencing class, I was a deer in the headlights. No, actually, it was worse. Not only did I draw a blank, but it shattered the image that I had of myself as a teacher. You know that image that’s similar to the image you’d create when you practice asking someone out or practice interviewing for a job. The scenarios that I’d created for myself, visualized, rehearsed and replayed to perfection in my head were clawed out, heaped on the floor and touched for everyone to see. Fortunately (or maybe sadly, or with sympathy), I was not the only one. What I was feeling, I sensed, was being felt by just about everyone in the room. I was not the only one having that experience! It was a very traumatic experience that I’m sure will not be forgotten any time soon. The best part about this experience is that I now realize that without that type of feeling, you never really develop the proper respect for the yoga instructor. The Yoga instructor puts herself/himself in a vulnerable position with every class. The vulnerability requires tools for support. That vulnerability must be based on strength. Now that I’ve completed the basic training, I can see that the act of teaching yoga requires that you be – open – in that state of vulnerability or the yoga is just robotic. Being open requires a combination of humility and selflessness. Being open requires that you accept your own imperfections in life. Being open requires a non-judgmental attitude. Being open means you’re going to have to be sensitive – possibly even get hurt. The second thing that really stood out today – in the closing circle – was that there are a lot of people willing to be vulnerable. The emotions (and words) shared by others that went through the same program come from an internal location that I can truly identify with. As I felt their words, I knew what they felt even if we can’t intellectually share the experience. It was really unspoken, but it’s now my experience that the tools needed to teach yoga involve removing the personal defenses and letting the soul shine through. You have to simply step on stage. It’s like asking someone out. You have to understand that rejections come, but you can’t harden to them. In time, the love that you have and share will found and cherished by the right group of students. Another way of looking this is that I’ve already failed and it didn’t kill me! The tools that I’ve learned should help me be able to set a good foundation and make forward progress. I don’t see failure as such a tragic thing any longer. It’s ok. Life’s ok. Things are going to work out just fine. Even though tomorrow, I’ll be back at work doing the same old same old, I will treasure this new experience and find a way to get this experience to grow and bloom.